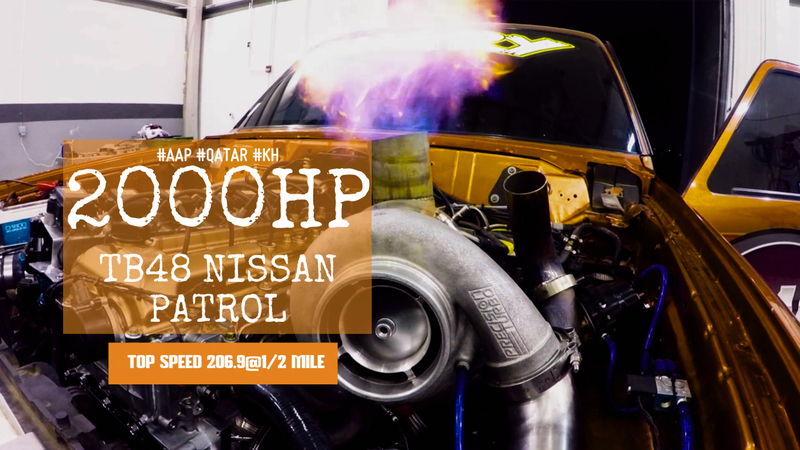 Home > AlAnabi Racing > Nissan > Qatar Mile > tb48 Patrol > VR 38 Patrol > 2000HP Al Anabi TB48 Nissan Patrol Back In the Dyno!! 2000HP Al Anabi TB48 Nissan Patrol Back In the Dyno!! Remember the SUV that tore its door to the world record at 206.9@1/2 mile (make that 333.82 km/h) Qatar early this month? Here it is again in the hub dyno packing an insane 2000hp during tuning for Qatar Mile. Al Anabi Racing will be heading to Qatar Mile Round 3 which is the final round of the season. Can they better the standing SUV half mile record? Video Embedded below the post.